← Half a shawl = finished project! When I acknowledged, reluctantly, that my yarn didn’t want to be a crocheted shawl after all, I set it aside while I decided what to make instead. Fast forward a few weeks, and a need for some simple, compact travel knitting prompted me to rescue the frogged yarn from my stash and to cast on a sock. Not a ground-breaking project, but exactly what I needed to see me through so much waiting around. The wool is Zwerger Garn Opal Schafpate, in Heidekraut colourway, purchased at Harry and Floss in Alcester, Warwickshire. Sometimes the yarn knows best! Have you knitted something from frogged yarn this week? I’d love to hear about it! 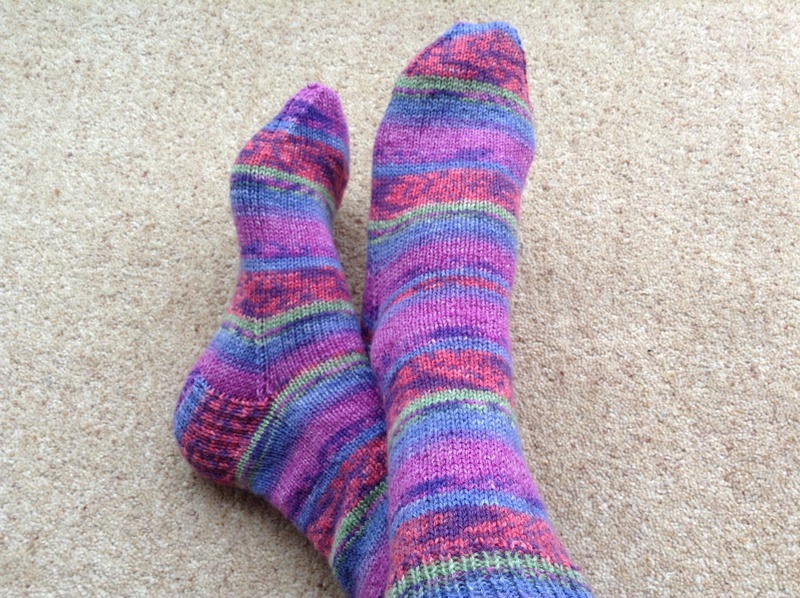 This entry was posted in Uncategorized and tagged finished, Finished object, knitting, Sock wool, socks, Wool. Bookmark the permalink.